Would you like to win Dermclinic Gift Certificates? Yes? If so join us for this online giveaway and get a chance to win exciting GC's from Gluta White and Firm by joining this promo. Just follow the mechanics. It's so easy as 1, 2 and 3. - Four lucky winners will win Php 2,500 worth of Dermclinic Gift Certificates. This promo runs from October 5, 2015 to October 30, 2015. 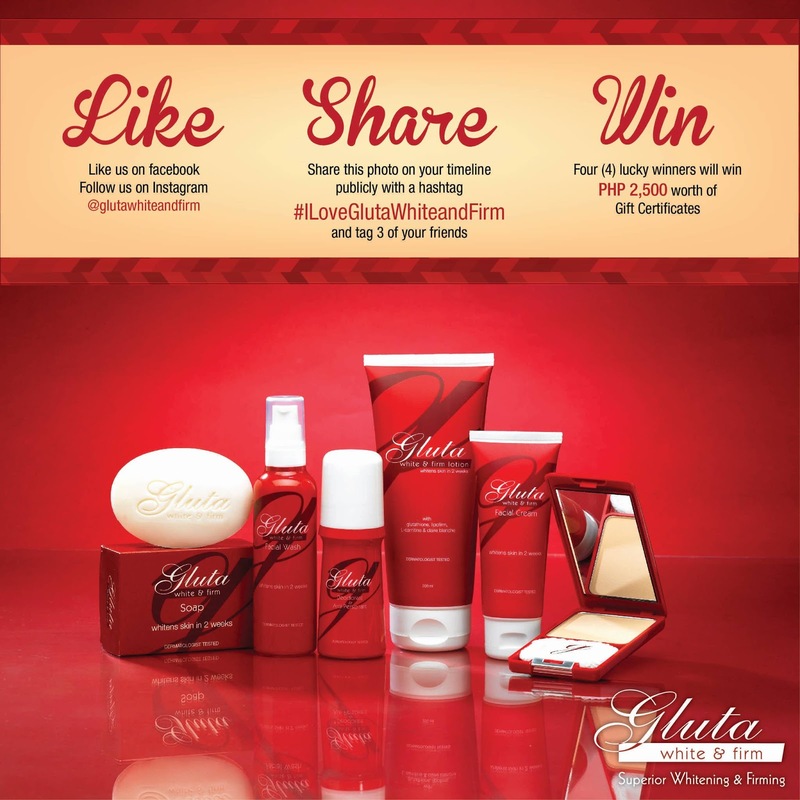 Winners will claim their prizes at Gluta White and Firm’s Head office in Makati. This contest is a sponsored post. The blogger has no right for choosing the winners.